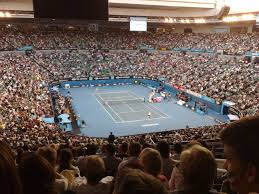 Home Trending News Naomi Osaka of Japan won Australian Open 2019 Title. Naomi Osaka of Japan won Australian Open 2019 Title. Japan's Naomi Osaka made history by winning the Australian Open for the first time on Saturday. Naomi Osaka defeated Petra Kvitova 7-6 (7-2) 5-7, 6-4 in a feudatory match. Japanese tennis player made her name in three hours. Naomi won the Grand Slam title for the second time. Earlier, she won the title of US Open last year. A star cricketer has joined Naomi's fan list, who praised the young player on social media. Naomi Osaka won the titles of the tournament for the first time, defeating Petra Kvitova 7-6, 5-7, 6-4. Osaka is playing the tournament for the fourth time and this year she entered the final for the first time. This is her second Grand Slam title. Last year, she won the US Open title. Before the final of the Australian Open, in 49 games, Japan's Naomi Osaka had won the first set when she won the match in the final. In the final of the year's Grand Slam i.e. Australian Open, she won the first set and also won the title, but the title was not easy for the 21-year-old tennis player. With this victory, she has also become the number one ranking player. Petra Kvitova of Czech Republic, seven years older than Osaka, saved the set of points set by giving a tough fight to Osaka in the first set, but finally, Okasa won the initiative by winning 7-6 (2) in the tiebreaker. In the second set, Kvitova gave a tough fight to Naomi Osaka. One time Osaka was ahead 5-2. He had three championship points, but Kvitova won the match 7-5 with a strong return. Till that moment it seemed that it would be difficult for Naomi Osaka to win this title.